A belated happy birthday to François Faber, who was born on January 26, 1887, and died on May 9, 1915. 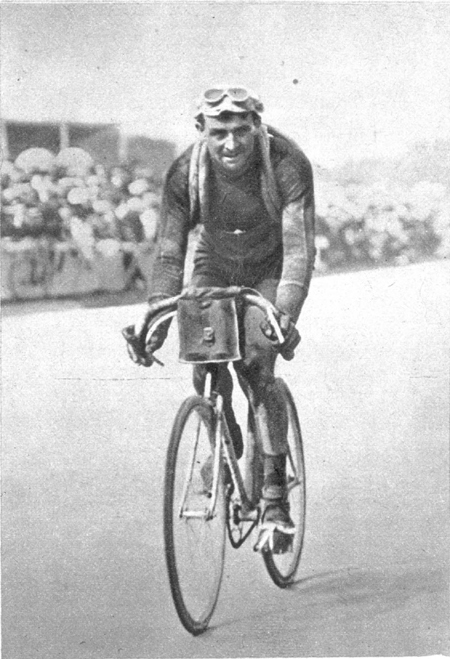 The Luxembourgish cyclist is best remembered for being the first foreign rider to win the Tour de France in 1909, along with the record for winning the most consecutive stages that still stands today. Faber’s father was born in Wiltz, Luxembourg, while his mother was born in Lorraine, France. Yet, despite the fact that both of his parents had French citizenship, Luxembourg was given as his nationality. Faber was first introduced to cycling while working as a furniture mover and a dock hand on the outskirts of Paris. Given his size, 6’1 and 201 pounds, the young amateur rider quickly earned himself the nickname of The Giant of Colombes, which was the name of the small town where he lived. 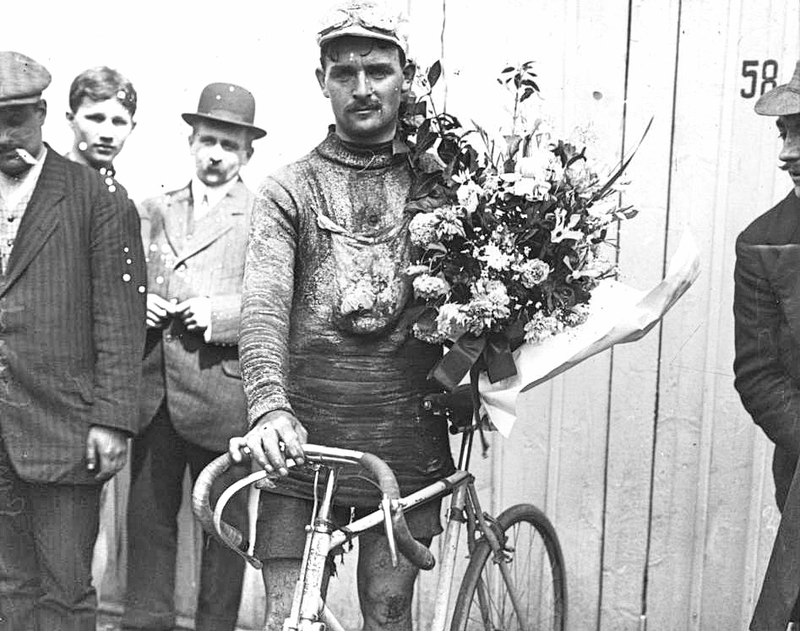 After racking up an impressive number of victories in local races, it wasn’t long before Faber turned professional, racing his first Tour de France in 1906 as a privateer which he did not finish. However, his performance improved greatly the following year, which resulted in a seventh place finish in the Tour. 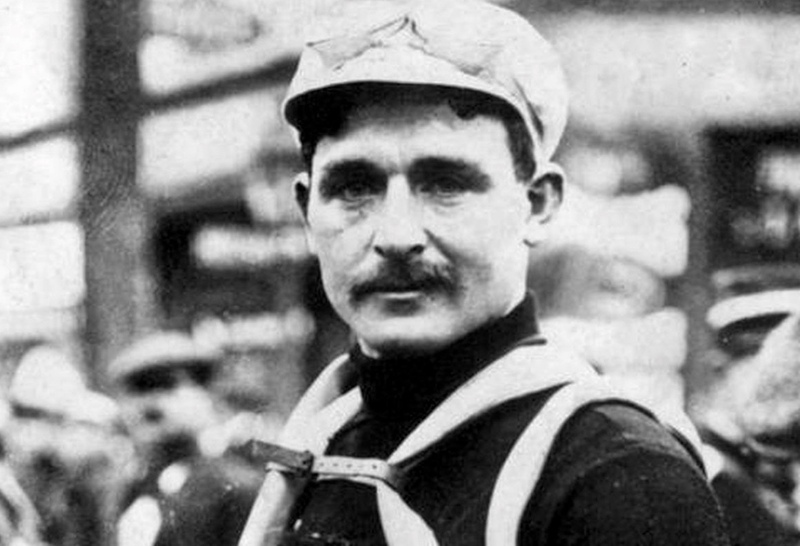 This quickly earned Faber a slot on the all-conquering Peugeot team in 1908, which saw the neo-pro claim no fewer than four stages and finish second on the podium in that year’s race. Faber really stamped his authority on next year’s Tour de France, winning a record five consecutive stages and the overall title during the worst weather conditions the French Grand Tour had ever seen. Indeed, fifty riders dropped out in the first six days after unrelenting rain, snow, thick mud, frost and deeply rutted, unsurfaced roads dogged that July’s race. Nevertheless, the worse the conditions got, the better Faber rode. Especially, during the 398 kilometer stage from Roubaix to Metz, which he lead alone for over 200 kilometers. The following stage saw even worse conditions, wherein the temperature hovered at just 3 degrees above freezing. 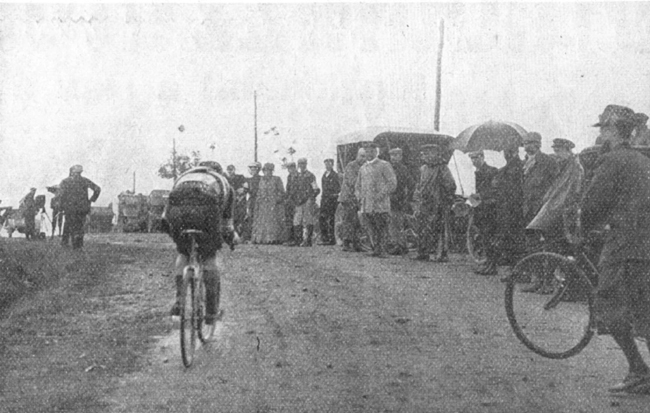 The race set off for Belfort, where Faber once gain rode clear of the peloton over the Ballon d’Alsace during the last 100 kilometers, subsequently opening up a massive gap of more than 30 minutes over his closest rival, Gustave Garrigou, to claim another solo victory. 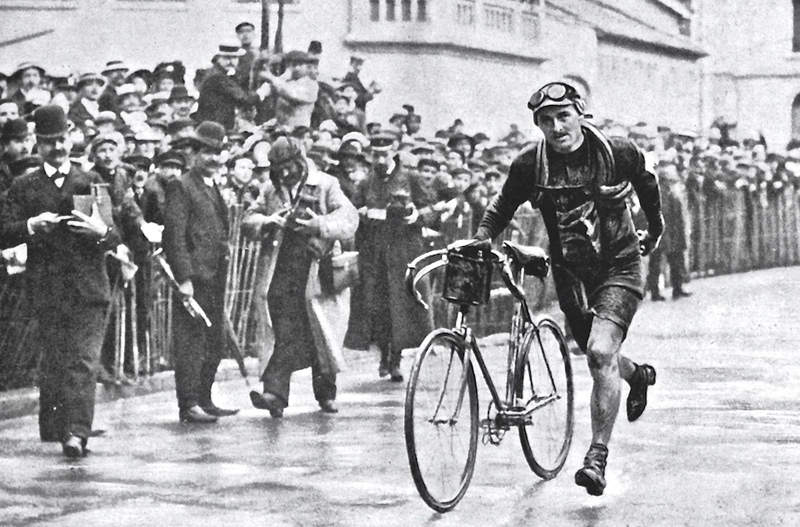 Still, the weather got worse on stage 4, which left at 2am enroute to Lyon, where an estimated 3,000 spectators turned out to see Faber depart, while as many as 20,000 showed up at the finish to see him claim his third solo victory – after leading the race for the last 62 kilometers. The wind was so severe during that stage, Faber was blown off his bike twice along the climb of the Col de Porte. If that wasn’t enough, Faber was also knocked off his bike by a horse that found its way onto the route, while a broken chain force him to run with his bike for last kilometer. 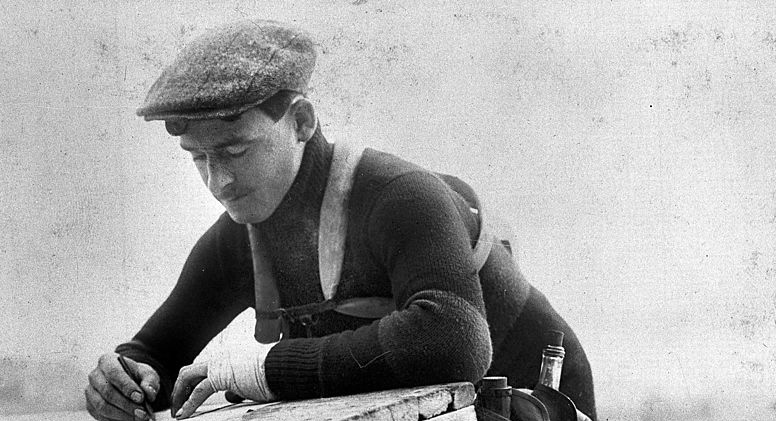 The 1910 Tour saw Faber leading the race, when a collision with a stray dog at the foot of the Pyrenees left him seriously injured. Despite winning the stage at Nîmes, the injury ultimately cost him the victory. 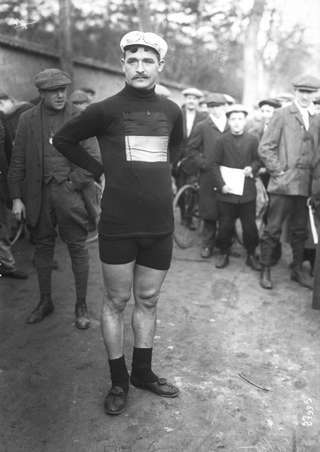 Faber’s Alcyon teammate, Octave Lapize, later seized upon his misfortune with final attack during the last stage from Caen to Paris to wrest the maillot jaune (yellow jersey) and overall title from him. 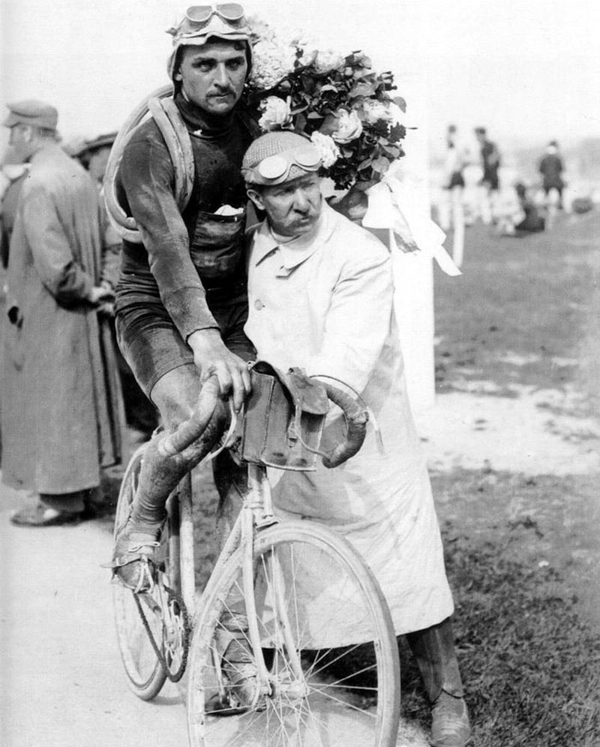 From there, Faber’s campaign to reclaimed his Tour de France title saw only moderate results, which was also curtailed by the start of World War I. Still, he managed to win no fewer than 19 stages in the Tour along the way, as well as triumphs in Paris–Brussels, Bordeaux–Paris, Sedan-Brussels, Paris–Tours (twice), Paris–Roubaix and the Giro di Lombardia. Conscription later forced Faber into World War 1, serving with the 2nd Marching Regiment of the French Foreign Legion at Battle of Artois at Carency near Arras. Legend has it, after receiving a telegram saying his wife had given birth to a daughter, and overjoyed Faber accidentally jumped out of the trench where he was killed by a German bullet. A more commonly accepted story, is that he was shot and killed while carrying an injured colleague back from the battlefield field between Carency and Mont-Saint-Éloi. Of the 2,900 soldiers in his regiment, 1,950 we’re lost during that battle. Faber was posthumously awarded the Médaille militaire. To honor him, a small race called the GP François Faber was organized in Luxembourg in 1918, which was held every year up until 2015. There’s also a plaque in his memory in the church of Notre Dame de Lorette in the French national war cemetery near Arras. In 2015, a new plaque in Faber’s memory was unveiled in Mont-Saint-Éloi, close to where he died. Gudde Gebuertsdag a Rou a Fridden François!